Columbia Car Service Limo & Car Service, 718-834-6868, 429 Columbia between W 9th and Huntington St. 24 hrs. Eastern Car Service 718-499-6227 or 866-499-7177. F train to Carroll Street. Head a block north and turn left on Sackett St. Follow it all the way to the waterfront and turn left. This is part of the Brooklyn Greenway. Take F/G to Smith-9th Street stop. Take a right out of the station, a left on Smith Street, and the first right onto Garnet St, which turns into Mill St. It's about a 15 minute walk from there into the center of Red Hook. Take F/G to Carroll Street. There is a pedestrian bridge on Summit Street over the BQE that isn't featured on some maps, so here's a tip. It's about a 20 minute walk from the F or G at to Carroll St. Exit the front of the train (if you were coming from Manhattan or Queens). Take a right on 2nd Place, walk 3 blocks to Henry Street. Right on Henry, left on Summit Street which is the extension of First Place. Cross the BQE via the pedestrian bridge that is slightly to your right at the end of the first block. Walk down Summit Street two blocks to Van Brunt and turn left. That brings you into the center of Red Hook. Citi Bike is now in Red Hook (you can see the stations on our map). There are stations in Brooklyn Heights, Downtown Brooklyn, Park Slope, Cobble Hill and Carroll Gardens. Or bike here on the Brooklyn Greenway. For any bike route, please follow traffic rules and also know that Red Hook has a lot of cobblestone streets which are charming but are bumpy biking and slippery when wet. Take Brooklyn Bridge to Cadman Plaza exit, right at bottom of ramp, follow road as it turns down to the river, as if you were going to the River Cafe. Just before the river, take a left onto Furman St. Take Furman until you cross Atlantic Avenue where the road takes a bend and is renamed Columbia. Take Columbia about 6 more blocks to the 3rd light at DeGraw Street and take right. One block later, you will be forced left onto Van Brunt Street. 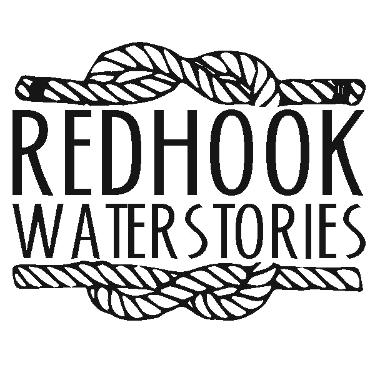 You're in Red Hook! Get on right side of tunnel, exit towards right at Hamilton Avenue. Stay in left lane once on Hamilton Avenue and at the first light (Clinton Street) take a left under the BQE. Follow Hamilton Avenue to the end to a T-junction with Van Brunt Street (Tesla dealership). Take a left on Van Brunt. Ferry routes and schedules are rapidly evolving. Look at on-line ferry schedules for NYC Ferry, New York Water Taxi and IKEA ferry. The NYC Ferry Red Hook/Atlantic Basin stop is on the South Brooklyn line and is right next to us! From Pier 6, Brooklyn Bridge Park, we are a 20 minute walk or short bike ride from the Citibike Dock at Pier 6 and Atlantic Avenue. Come down the Brooklyn Greenway and follow the signs to Pier 11. We are also just a short walk north from Fairway and the IKEA ferry stop.